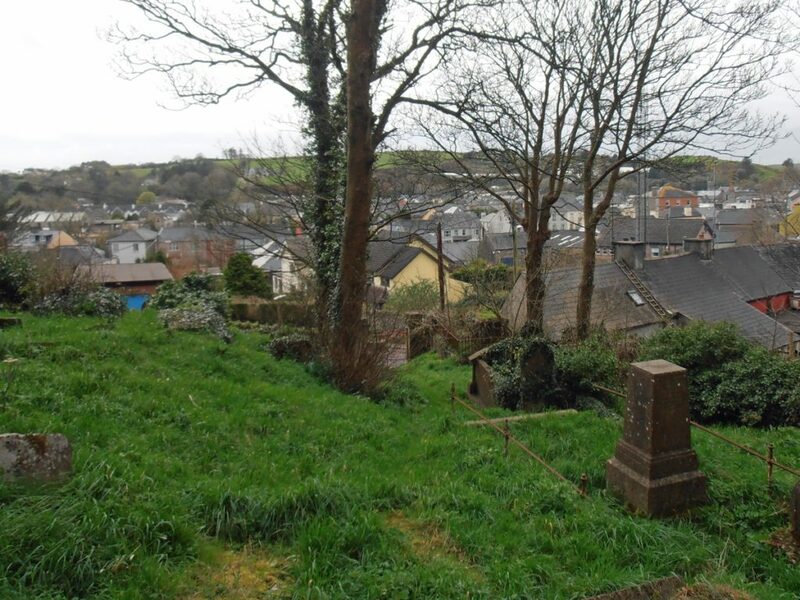 Abbeymahon graveyard is a small burial ground situated in a quiet corner off Chapel Lane in Skibbereen. It appears to have come into use around 1830, and it was widely used for the next hundred years or so. 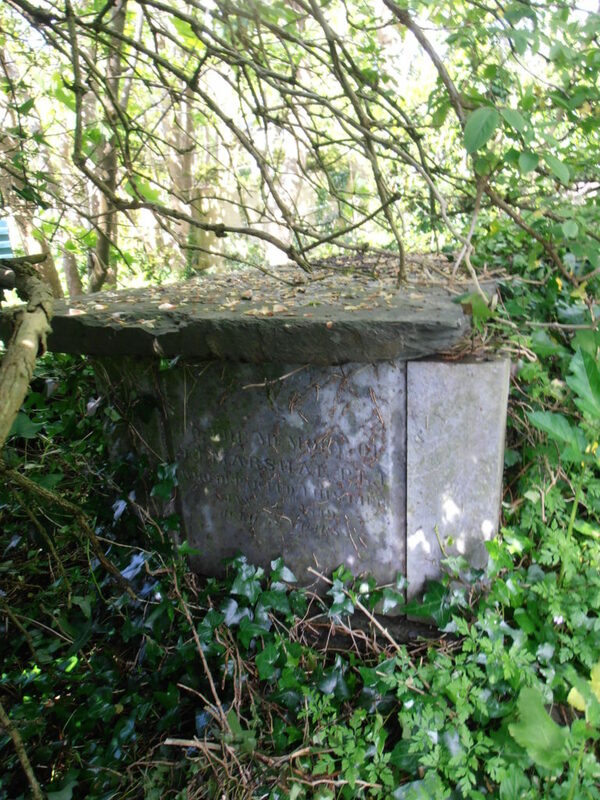 It still used infrequently for burials for those whose families were traditionally laid to rest there. Some mystery surrounds why this hilly site was chosen as a site for a burial ground. In the 1820, the Church of Ireland Vicar of Abbeystrewery, Rev. 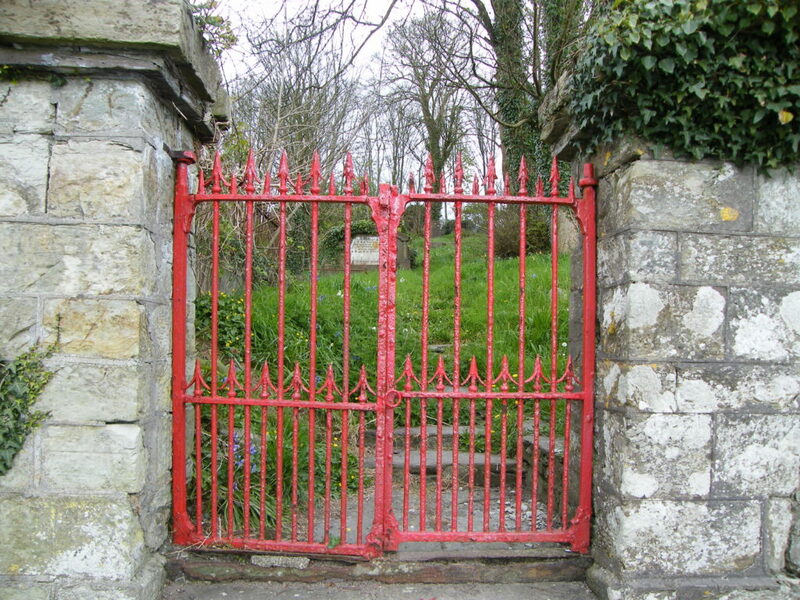 Richard Boyle Townsend, used funds from the “Board of First Fruits” to build a new glebe house and church in Skibbereen and this graveyard was probably part of his efforts to improve the facilities for the Protestant community in Skibbereen. However, it was not next to his new Abbeystrewery church in Bridge Street – it is actually located in the parish of Creagh rather than Abbeystrewery. 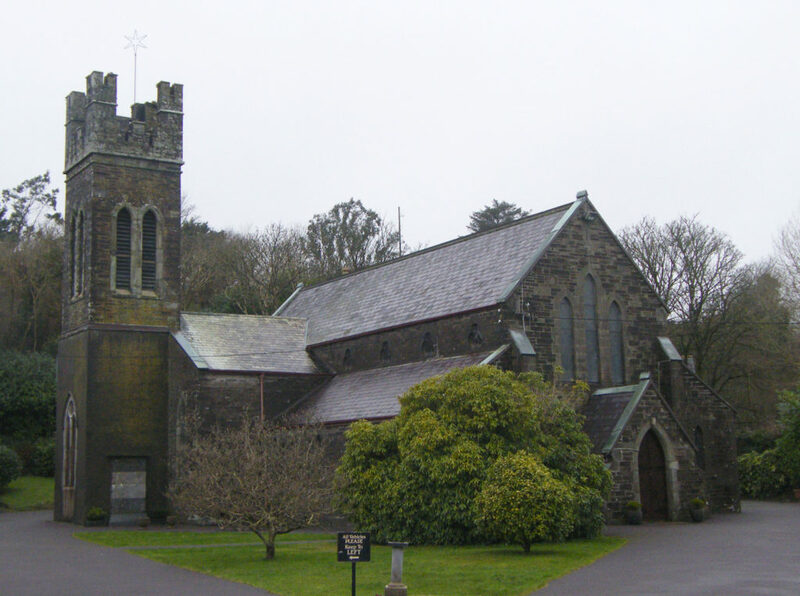 Abbeystrewery Church is in a different parish to Abbeymahon Graveyard even though it served the same population. 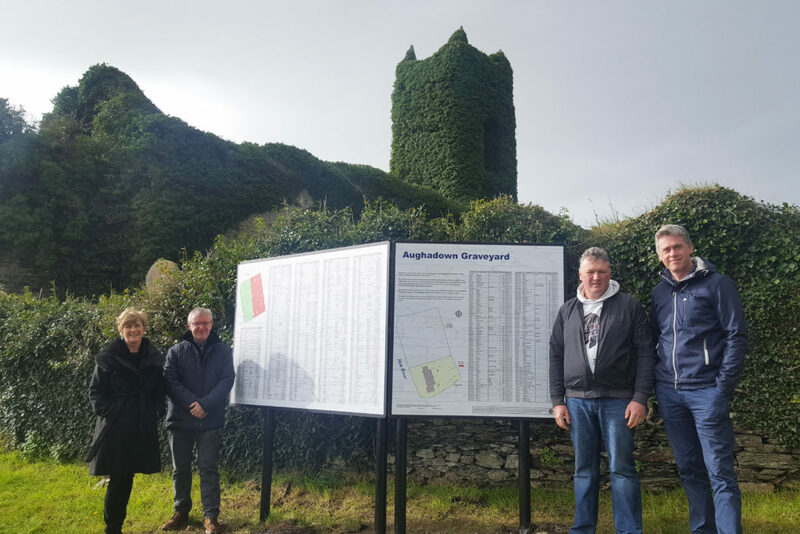 Many of the families buried in Abbeymahon were prominent in the commercial and public of the Skibbereen area, including the Levis, Wolfe, Vickery, Swanton and Fuller families. 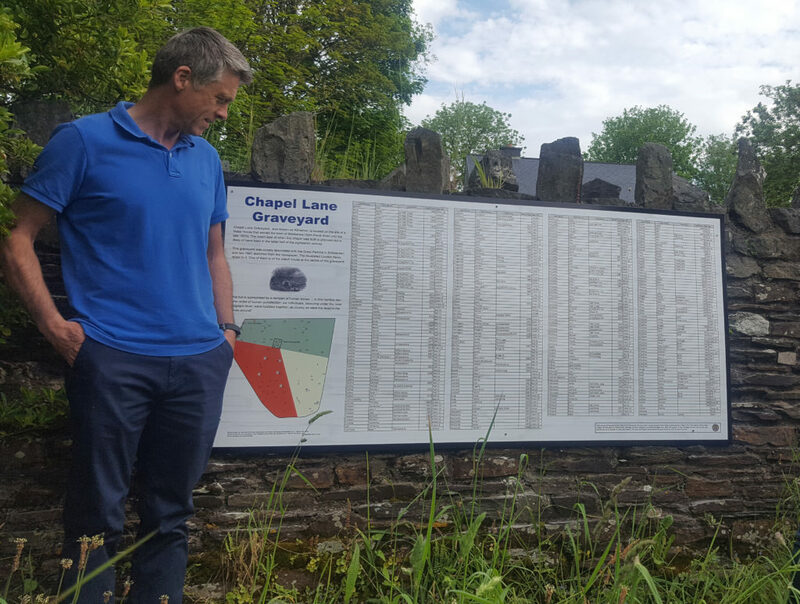 Some of these families still feature in the street names of Skibbereen today. 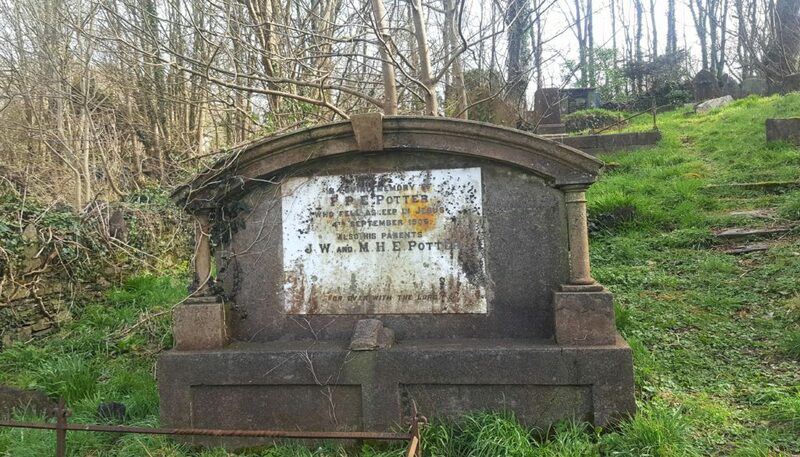 Other people of interest interred at Abbeymahon include Frederick Peel Eldon Potter, the founder of the ‘Skibbereen Eagle’ newspaper famously known for keeping his ‘eye on Russia’. Fred was an extraordinary character who was an expert in propaganda publicity – or “fake news” as we would call it today. Fred’s “eye on Russia” phrase is known world-wide and is often still quoted in the media today. 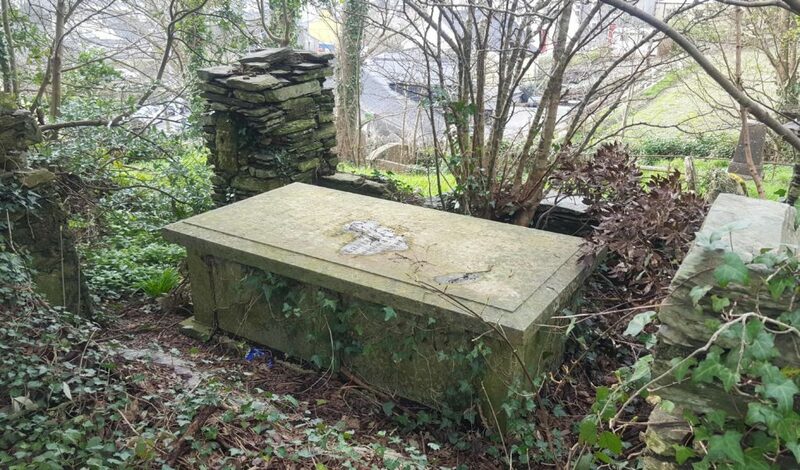 The tomb of Frederick Peel Eldon Potter, the founder of the Skibbereen Eagle newspaper who was famously known for keeping his “eye on Russia”. 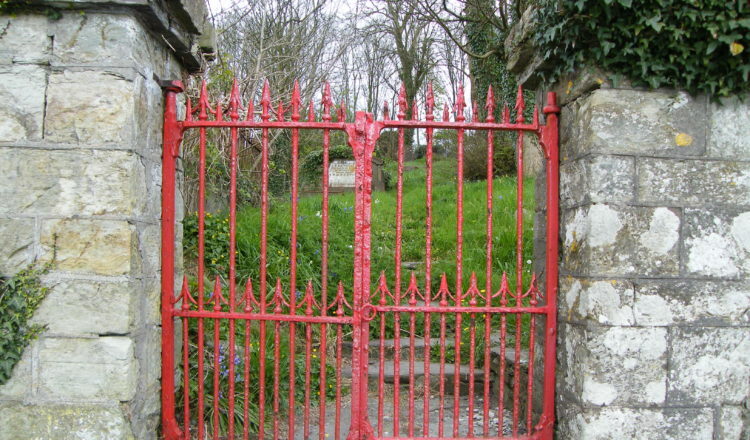 Abbeymahon is also the burial place of John J. Marshal, a Poor Law Inspector for the Skibbereen Union during the Great Famine. Marshal was responsible for setting up soup kitchens in this area in the spring and summer of 1847 and was lauded for his efficiency in so doing. Marshal also compiled a very important document A Return of Deaths and Emigrations in the western division of the Skibbereen Union, from 1 September 1846 to 12 September 1847. This report is the only record of its kind compiled during the Great Hunger and is therefore a very valuable contribution to Famine historiography. Like many others of those engaged in relief works in this area, Marshal contracted the ‘fever’ and died of cholera on 2 February 1949. 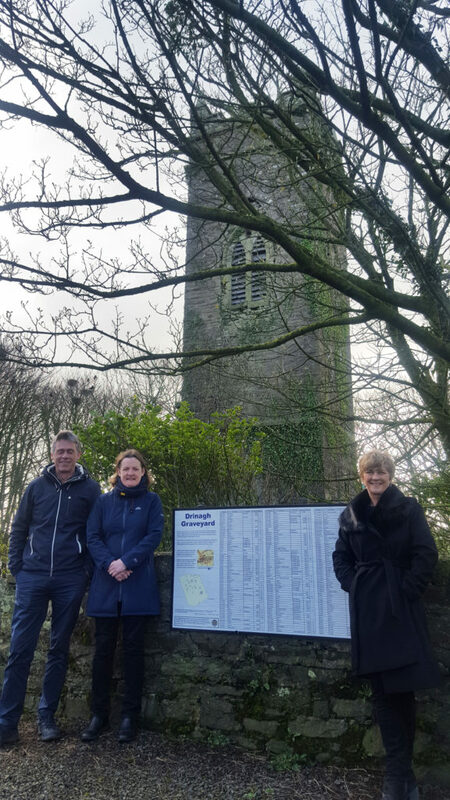 Others buried at Abbeymahon include Dr Hadden, a dispensary doctor for the Castletownsend area during the Great Famine, and Richard Fair, a descendent of one of the men who escorted King Charles I to his execution. Another person of note in the graveyard is Robert Swanton, a United Irishman who fled Ireland around the time of the 1798 Rebellion. 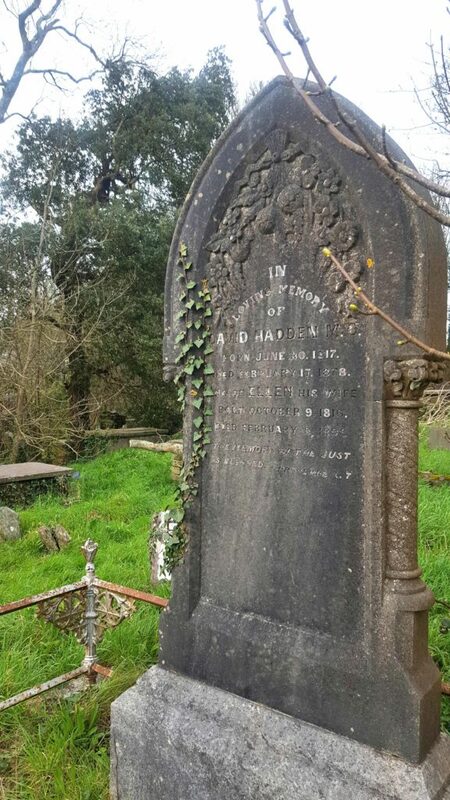 Dr St John Clerke, a medical doctor in Skibbereen, who was active in famine relief during the 1822 famine, is buried in a quiet corner of Abbeymahon. His son, J.W. Clerke, also helped the people of Skibbereen during the Great Irish Famine of the 1840s as a very active member of the ‘Skibbereen Committee of Gratuitous Relief’. The ‘Clerke’s Crater’, an indent on the moon near the Sea of Tranquillity, is named in honour of Dr Clerke’s granddaughter, Agnes Mary Clerk, a well known astronomer. 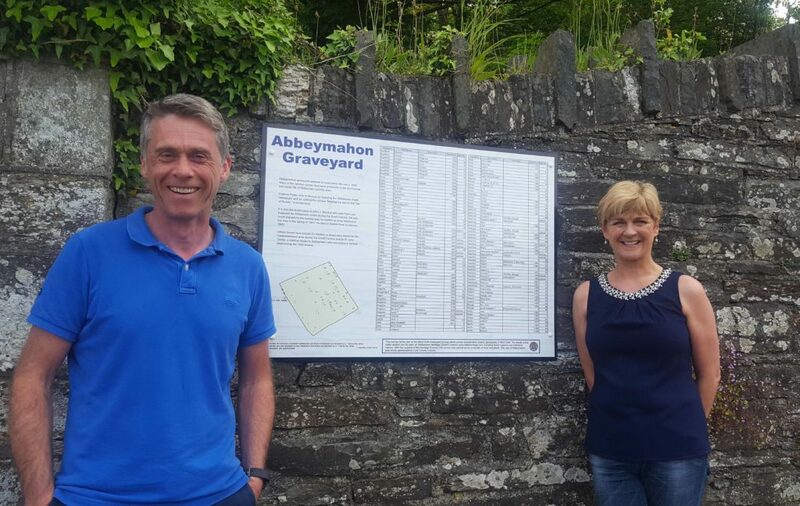 With the support of Cork County Council, Skibbereen Heritage Centre erected a sign at Abbeymahon in 2018 which lists all those known to be interred there, as well as a brief history of the site, as part of our ongoing graveyards’ signs project.